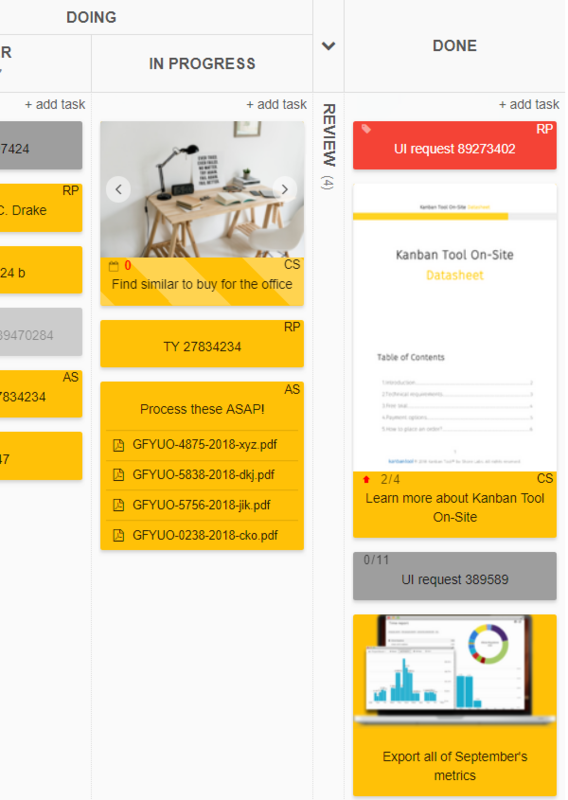 Kanban Tool has always been focused on effective workflow visualization. Today, we bring you a Power-Up that takes visualization of work items to the next level! Switch on the Card Covers Power-Up to be able to either pin any attachment to your card front, or to turn an attached file into your card cover. This way, graphic files and pdf attachments can be previewed without opening the tasks. You are welcome to go ahead and create a gallery of multiple images directly on a card.